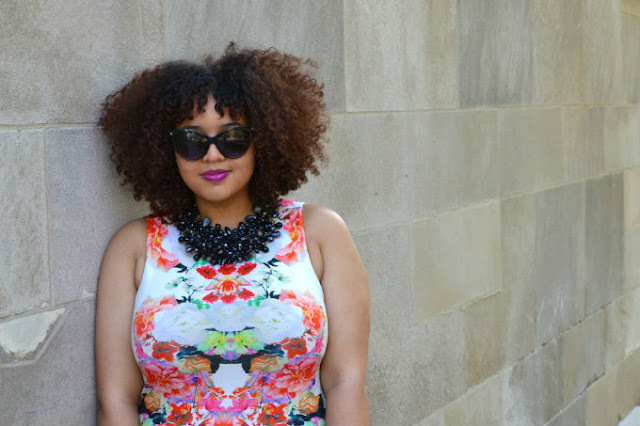 Gabi Gregg is defying the odds with her fashion blog Gabifresh. With her to-die-for natural hair and her runway-ready style, this full-figured woman means business. In an industry that is usually reserved for women who wear under a size six in clothing, Gabi has shown just how fabulous a plus-size woman can be in her own skin and clothes. Most recently, Miss. Gregg was featured on the Today Show where she discussed a photograph of herself in a bikini that has since gone viral. As the positive comments began to roll in, she created a “Fatkini” photo gallery featured on XO Jane, in which full-figured women from everywhere were encouraged to send in photos of themselves in bikinis. Though negative comments come in from time-to-time, Gabi continues to enhance the appreciation of body diversity. Despite the media’s focus on her size, it is Gabi’s effortless style that gains her the most attention. Scrolling through her blog, you’ll find trendy ensembles that are meant for women of several sizes. In fact, her blog is the reason for her rise to fame. Much like the many college girls attempting to break into the fashion world, Gabi also knows their struggle. After graduating from college, she found difficulty in finding a job in fashion journalism. So she started a blog that has now become her full-time job, yielding her advertisers such as Alloy and gifts from designers we know all too well. Via her head-to-toe style and her rise-to-the-top career, Gabi Gregg motivates and encourages women of all shapes, sizes and careers to push for their dreams one stylish step at a time. If, in a soccer match, one team has obviously been far superior to its opponent, your article should reflect that, but it should still look for some good aspects of the beaten team's performance. One or two players might have played well on the beaten side, for instance. Thanks a lot. Good to see these pics with well focus to capture him.College of Fashion Technology offers various courses and programmers in Gabi-gregg-fo etc.